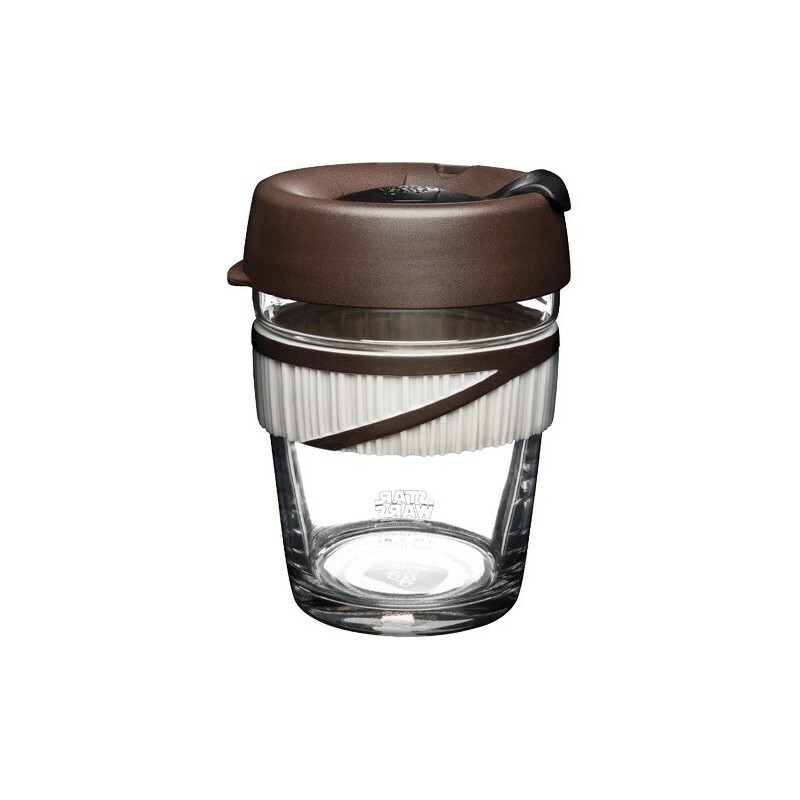 Star Wars edition glass KeepCup in medium size with Rey theme is subtle, but identifiable to all those in the galaxy who know the ways of the force. Made from tempered glass with a silicone band that insulates your hand from heat. Perfect for the coffee purist or lovers of fine tea to enjoy the cafe experience 'to go'. 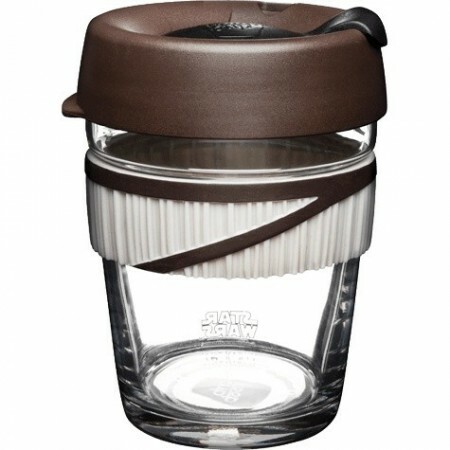 Save trees and reduce landfill with your Star Wars themed KeepCup. Star Wars Rey Keep Cups are barista standard because they replicate standard takeaway sizes and fit under the group heads of most espresso machines. For espresso based coffee, the crema remains intact and the portioning of milk to coffee will be correct. Keep Cup is BPA free. Cup made from fully tempered soda lime glass. Lid made from #5 polypropylene, plug is a polyethylene polymer called TPU, and thermal band is silicone. Replacement parts available by contacting us. 340ml (12oz). This is a barista standard medium size cafe cup.